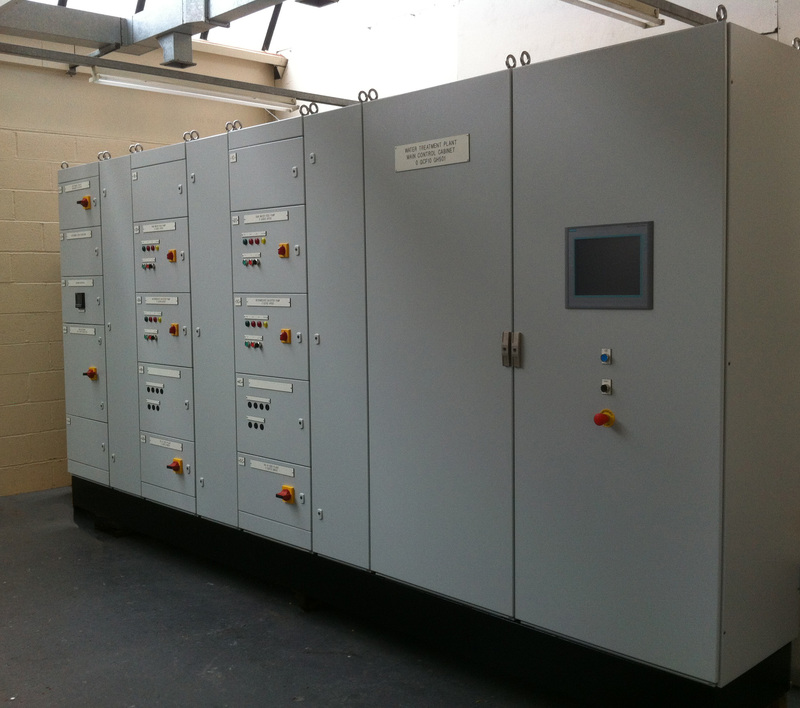 The development of a power station plant room not only provided logistical and technical issues but also harsh environmental considerations for Nova Controls during their installation of water treatment PLC for a Yorkshire biomass site. The performance of Rittal’s Ri4power modular switch gear busbar system helped to deliver the solution that the site demands. Location of the existing site structure meant that the panel had to be craned in position, therefore rigidity and strength of the framework was a priority. Ri4Power’s welded frame and tested lifting procedures assisted with the installation of the panel within the new power station plant room. Safety was a key concern to the end customer therefore Rittal’s internal RiLine60 busbar system was shielded and the panel designed in line with IEC61641 Internal Arc Protection. Form 4 type 6 compartments segregated the control devices, busbar and outgoing terminals, which assisted the cabling on site and offered a higher level of safety. The panel was located in a plant room where there is a possibility of high levels of moisture and the potential for an acidic atmosphere. To reduce any corrosion or damage to the panel a tropicalized paint finish was used. Being of a modular design Rittal’s Ri4Power allowed Nova Controls to make last minute changes to the design layout. In addition to Ri4Power system, Nova also utilised Rittal’s RPE Engineering software to generate design verification documentation that included heat calculations in line with the latest IEC61439 switchgear and Controlgear standards. Rittal are at this years Big Data Scotland. an event dedicated to looking at the issues currently faced by the industry. The volume of data being produced is almost unfathomable: by the end of 2013 global data storage was estimated to have reached 1,200 Exabytes. More extraordinary than the total culmination is the exponential rate of growth, with the amount of data produced in 2014 predicted to equal the total quantity produced in each preceding year combined. In many respects the volume of information captured presents a challenge, as data sets can grow so large and complex that processing them and gaining any meaningful benefit becomes difficult. Ultimately the data only offers value when it can be harnessed effectively and used to generate relevant and actionable intelligence. Only when this is done will the real benefits be achieved. In spite of the challenges, Big Data undoubtedly presents an enormous opportunity. When utilised effectively Big Data has the potential to revolutionise the way an organisation operates; improving efficiency, enhancing insight, tailoring customer contact and directing the evolution of business operations to reflect requirement. Hosted by Scot-Tech Engagement with support from DataLab, Big Noodle, MBN Solutions & ScotlandIS, the event will be comprised of industry keynotes, technical breakout sessions and open discussion. The conference will also feature an expo floor, allowing delegates to ‘kick the tyres’ of the leading solutions on offer, and discuss how they can be effectively applied to their particular situation and requirements. This unique and timely event is designed specifically for business leaders and IT professionals. This unique and timely event is designed specifically for business leaders and IT professionals. The conference is free to attend but spaces are limited. Now may be the time to investigate available solutions to the problem of overheating panels. 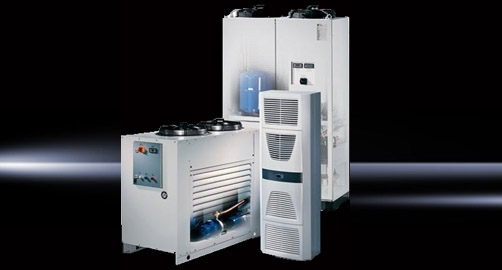 Rittal have a large range of cooling products that will address the problem. Rittal’s TopTherm fan-and-filter units are an energy efficient means of cooling enclosures but require a clean and cool environment to operate effectively. Air-to-air heat exchangers have separate internal and external air paths, preventing dirt and dust from entering the panel, but still require a cool ambient air to deliver the required cooling. Cooling units also have separate air circuits but are capable of cooling the air inside an enclosure to a temperature lower than that of the ambient as well as maintaining a clean internal environment. In the case of thermoelectric coolers, the Peltier effect is used to deliver modest amounts of cooling, typically to small panels, offering a lightweight and compact solution. Units from the Rittal TopTherm Blue e range incorporate a refriger-ant circuit and so have larger nominal cooling capacities, up to 4 kW. Air-to-water heat exchangers can maintain the air inside a panel at a temperature lower than that of the surrounding air and have an additional benefit of allowing heat to be dissipated remotely. Water is the cooling medium used to transport thermal energy to an alternative location, where it may be discharged without increasing the temperature in an already warm environment. To complete the chilled water system a Rittal chiller can be used to return the water to its’ original condition before recirculating to the heat exchanger.